In his mid to late teens he started to develop a bi-polar disorder and was diagnosed ‘manic depressive with schizophrenic tendencies'. By the age of 19 he was thought to be a danger to himself, a suicide/OD waiting to happen, and his adoring parents took the hard decision to have their eldest son hospitalised and treated. They used the best doctors, the most advanced therapy in the leading facility in the country . 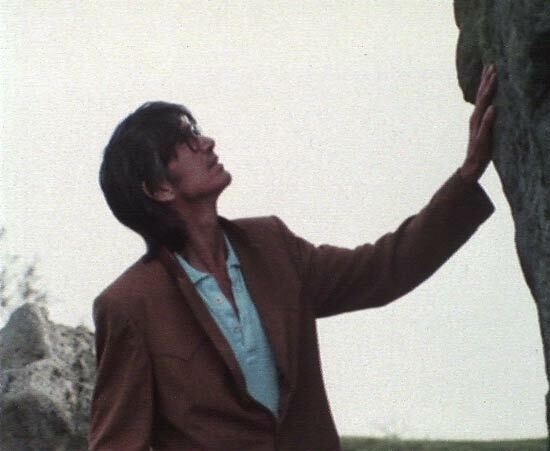 The combination of electricity and chemicals helped temporarily to alleviate Townes symptoms, possibly saved his life,but they also wiped out most of his childhood memory, and his subsequent attempts to settle down were constantly derailed by his depression and the addictions that accompanied it. Five years, one album, a marriage and a little boy later, the blues having taken hold for good, Townes hit the road. He spent the next 30 years self medicating with drugs, firewater and a dark sense of humour, to somehow survive long enough to create a collection of the greatest contemporary folk songs America has produced. This film is the story of that self-destructive creative journey, a poetic struggle ‘from London to Dublin, Australia to Perth', and the friends, the family and the fans that supported him through his 'highs, lows and in-betweens'.